Donald Cole, D.Min. LPC-S, LMFT-S, Clinical Director at the Gottman Institute, is a licensed Professional Counselor, a licensed Marriage and Family Therapist and an approved supervisor in both disciplines. Dr. Cole received the Doctor of Ministry degree in Pastoral Counseling and Psychotherapy from Garrett-Evangelical Seminary at Northwestern University in 1993. Dr. Cole, along with his wife, Carrie Cole, co-founded The Center for Relationship Wellness, a private practice for therapy, consultation and training in Houston, Texas. His work with couples includes couple’s therapy, workshops, seminars, and intensive marathon sessions. He is committed to training therapists and other professionals and has provided supervision, graduate courses and continuing educational programs throughout his career. In addition to being the Clinical Director at The Gottman Institute, Dr. Cole is also a Master Trainer. He offers all levels of training in Gottman Method Couples Therapy for therapists throughout the United States. He also serves as a consultant for therapists completing their final training in Gottman Method. Dr. Cole has authored a number of workshops including: The Unique Challenges of Second Marriages, Ethics in Couples Therapy, Domestic Violence and Law Enforcement and Living as God’s Family: Relationship Enhancement for Congregations and has presented to a wide range of audiences including, The American Association of Pastoral Counselors and the American Congress of Obstetrics and Gynecology. 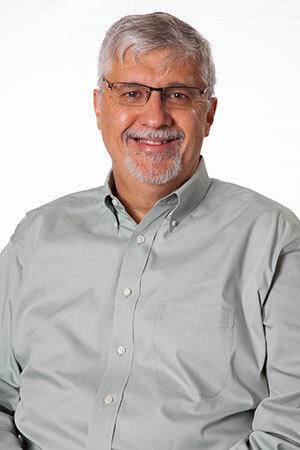 As an ordained Lutheran Pastor and Native American, Dr. Cole has served on the Board of Directors of the Oaks Indian Center where he helped design programs for staff training and family restoration. As approved presenters for The Gottman Institute, the Coles present The Art and Science of Love Workshop to couples three times a year. Highly experienced as a speaker, Dr. Cole is known for his humor and down to earth approach. People find his conversational, energetic style engaging and easy to follow. He has appeared as a guest on U.S. local and national television programs. He has appeared in numerous publications on behalf of the Gottman Institute including: Cosmopolitan, Men’s Fitness, Men’s Health and Reader’s Digest. Most recently he co-authored 3 articles for the Encyclopedia of Couple and Family Therapy with Dr. John Gottman and Carrie Cole. Deepen your understanding of Gottman Method Couples Therapy and expand your strategies and interventions in your work with couples in Atlanta, GA. Practice using Gottman Method interventions in group role-plays while receiving personal, supportive coaching from trainers. Through videotaped cases of real couples, hands-on role plays, demonstrations of assessments and interventions, and nuanced discussion of technique, the Level 3 Practicum in Webster, TX significantly expands your understanding of when and how to use Gottman Method approaches. Deepen your understanding of Gottman Method Couples Therapy and expand your strategies and interventions in your work with couples in New Orleans, LA. Practice using Gottman Method interventions in group role-plays while receiving personal, supportive coaching from trainers. This is the first step in learning Gottman Method Couples Therapy. A truly inspiring workshop, Level 1 Training in Anchorage, AK will give you new insights into treatment for couples who struggle, using research-based assessments and effective interventions. Deepen your understanding of Gottman Method Couples Therapy and expand your strategies and interventions in your work with couples in Anchorage, AK. Practice using Gottman Method interventions in group role-plays while receiving personal, supportive coaching from trainers. Based on over 40 years of research with thousands of couples, this workshop in Anchorage, AK will give you new insights and research-based skills that can dramatically improve the intimacy and friendship in your relationship and help you manage conflict in a healthy, positive way.